“According to a 2017 study by data firm Dstillery, the farther a gym member lives from the facility where she works out, the less often she goes there,” reports Matt Fitzgerald in his “Perfect Your Homebody” article for the April 2018 issue of Women’s Running. 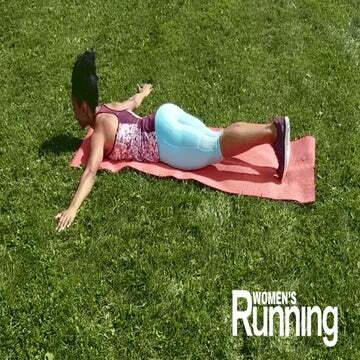 In recognition of this data, Women’s Running collected several exercises that every runner can do at home with inexpensive gear that can be used for years to come. In the video above, we demonstrate nine exercises performed as part of a strengthening circuit using only dumbbells. For more tips on how to make the most of your home gym, check out our Exercise Ball Strength Circuit and read all of Fitzgerald’s home gym tips here.